On the Thursday, January 8 edition of the Alex Jones Show, Jones breaks down the latest on the Paris shooting, and expounds on why details of the perfectly timed attacks, carried out with military precision, fit the script of an inside job. Alex considers various motives behind why a media organization was targeted, as the manhunt for the suspects continues. On today's show, Alex welcomes former Egyptian Military Colonel, Emad Salem, who went Undercover for the FBI and infiltrated the first Al Qaeda Cell on American soil in New- York City during the 1993 World Trade Center Bombing. Salem will provide valuable insight into the shootings, and expand on the administration's role in supporting religious extremists and fanatics. Tags: 1st Amendment, 2nd Amendment, 4th Amendment, 5th Amendment, Al Qaeda, Borders, ISIS, obamacare, propaganda, spy, Surveillance. Wednesday: The Alex Jones Show. Free Speech Gunned Down In Paris: Murderers Exhibited “Advanced Military Skills”. 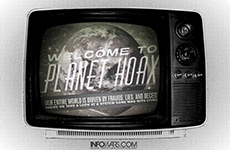 Wednesday: The Infowars Nightly News. 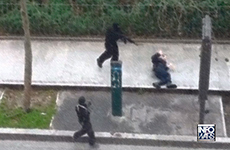 Paris Shooting: What They Are Not Telling You. 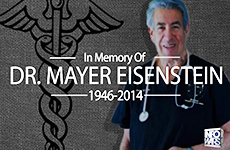 In Memory of Dr. Mayer Eisenstein: A True Infowarrior That Battled Autism Head On. Tuesday: The Infowars Nightly News. 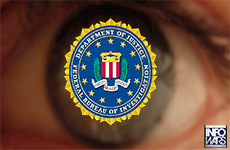 FBI: No Expectations Of Privacy From Stingrays In Public.